Will the European Parliament blow Golden Visa programs? The European Parliament has recently debated Golden Visa programs in the EU. These programs fall into the jurisdiction of each member state, and let international investors get European citizenship or residency in a fast track procedure. However, since they are relevant to the whole population of the European Union, the topic needed to be addressed on a higher level. 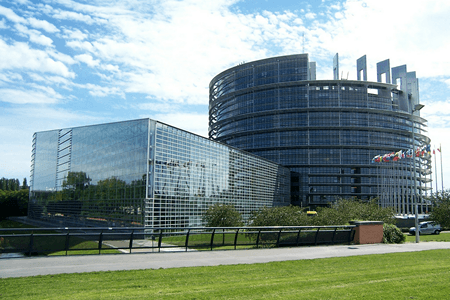 According to members of the European Parliament, one of the major issues with investment citizenship programs is that “citizenship must imply a genuine link with a member state,” said Roberta Metsola MEP. While the significant investment often treated as a matter of national interest, investors are usually not required to live in the country, this way no actual bond can form. Another concern is that cash-for-passport schemes are prone to give rise to corruption and crime, which are, understandably, contrary to the values of the European Union. At the same time, it seems a “double standard” to provide the wealthy with simple access to the infrastructure and common assets of the European Union, while, according to Dutch MEP Sophie in ‘t Veld, “those who come here are treated like criminals”, with upmost scrutiny. The Citizenship Program of Malta was openly criticized for the commoditization of European citizenship, promoting it in the same language as one promotes luxury commodities: yachts, watches or villas. Some of the MEPs also highlighted that the intentions of some investors for buying passports was questionable. While a good number of MEPs expressed their concerns, only three of them defended these schemes, Portuguese MEP Nuno Melo, and Maltese Labour Party MEPs Alfred Sant and Miriam Dalli. They all argued that all applicants go through strict due diligence processes. While earlier concerns were usually dismissed as being a national issue, not a European one, now MEPs call for harmonized laws and more transparency in order to stop double standards and root out corruption. To date, there is no direct conclusion to the debate. Since there seemed to be a wide agreement about the need for harmonized and more transparent regulation, in due course the European golden visa programs might become less accessible, especially those that are currently very simple and straightforward, just like the Maltese or the Portuguese program.